Based on our experience, people usually assume that replacing a concrete pool with a fiberglass pool will be cheap—maybe as much as replacing the liner twice in a vinyl liner pool, or resurfacing a concrete pool. I like a clearance sale as much as the next person, so I’m sad to say this isn’t the case. It can actually end up costing more than a new pool. I know; it hurts me too. 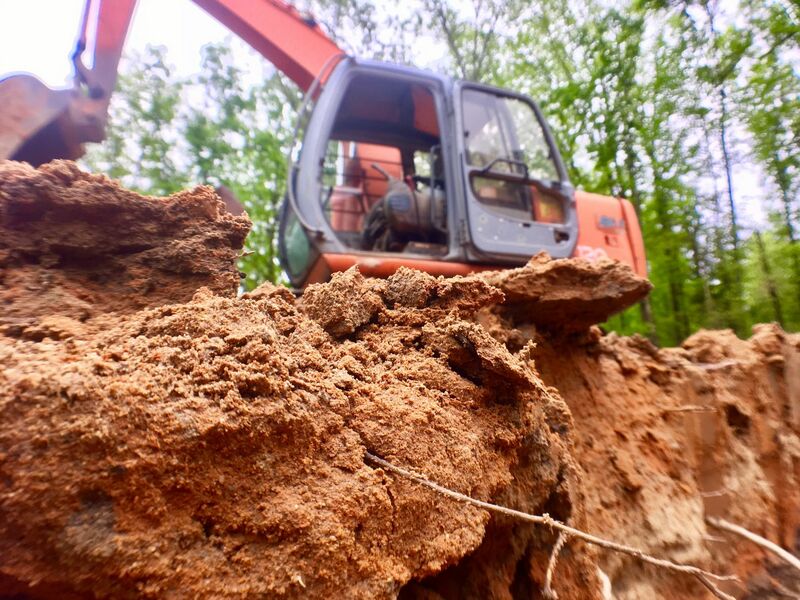 Here’s why it’s expensive even though you already have the pool-shaped hole in the ground—and why it may still be worth the cost. In our area, the average cost to replace a concrete pool with a fiberglass pool is $50,000-$70,000. Ouch. Sadly, it doesn’t cost that much to dig a hole. A concrete pool in the ground actually causes more work because the installer has to bring in more supplies to make it work. You’re buying and installing a brand new fiberglass pool shell, which is $45,000 and up on its own, but you’re also doing more than that. The concrete pool is often much bigger than the fiberglass pool shell, so you need to fill in the extra space, which means you’re using extra stone. If you want a new patio to go with your new pool, you have to demolish the old patio. Demolition, while fun to watch, costs you a pretty penny. A concrete or tile deck will cost more to remove than a wood deck. Often the existing fence or landscaping limits the installer’s access, which adds some cost for a crane or for taking down and reinstalling a fence. The more difficult it is for them to operate, the more it costs you. Good news: you can use the existing pump and filter system if it makes sense. However, if the system is old, you may want to take the opportunity to replace it so you can start with a brand-new system. 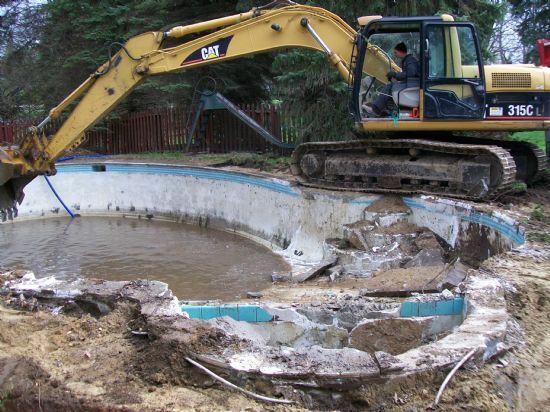 There are two stages to the process for replacing a concrete pool with a fiberglass unit: the demolition to clear the path for the new pool, and the installation of the new pool itself. The demolition may be stressful or cathartic, depending on how much you like your pre-replacement backyard. Get access to the backyard. The installers will take down fences, trees, landscaping, etc., as necessary. Create a hole or a way for water to drain out of the bottom of the concrete pool shell. If you don’t, the concrete pool shell acts like a bowl. Any water that gets down there will just sit there, and that causes problems. Some people choose to have all the concrete completely removed instead of filling in the extra space. This option can be better for your property value, but it will also require more time and expense. Once the installers have cleared the space they need, they can install the fiberglass pool. Put down the stone/gravel base. Backfill around the outside of the pool. 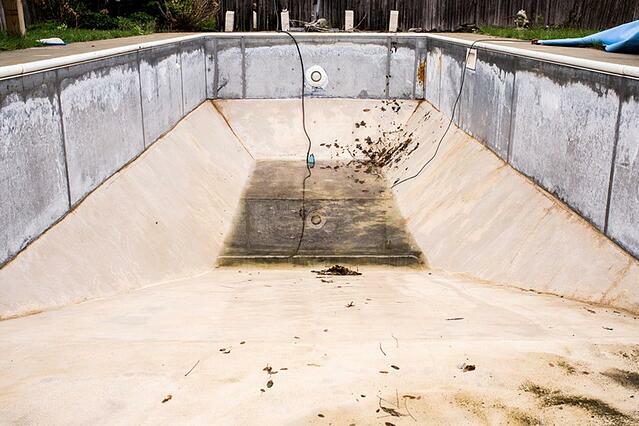 Replacing a concrete pool with a fiberglass pool only takes 3-4 weeks. That’s about the same time as a regular fiberglass pool project. 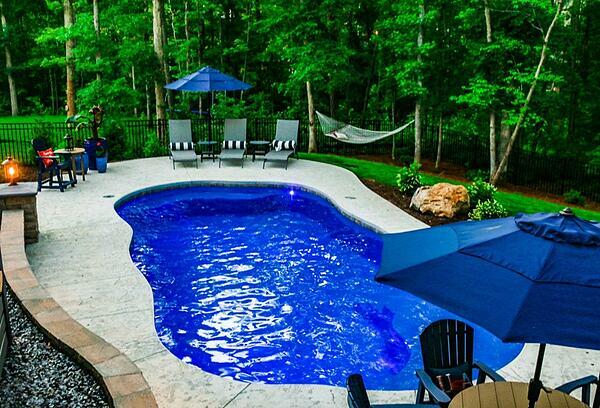 Even if you start this project in June, you’ll be able to enjoy your pool for most of the summer. Nice! Why replace a concrete pool with fiberglass? The fiberglass pool is easier to take care of than their old concrete pool. It needs less long-term maintenance and uses less energy and chemicals. The gelcoat surface is smooth, too, unlike abrasive plaster or exposed aggregate of a concrete pool interior finish. We do these projects several times every year, and our clients have always been very happy. For people who will be in their home for years and want to enjoy their swimming pool, the pleasure and the low maintenance offset the initial cost. To learn more about the lower cost of a fiberglass pool, you can read this pricing guide for inground swimming pools, which covers the upfront and lifetime costs of all 3 pool types. Located in Virginia, River Pools manufactures fiberglass pools that are distributed throughout North America. If you would like to find a dealer, or if you live in Virginia or Maryland and would like to talk to us about replacing your concrete pool, we’d love to hear from you. Editor's note: This article was updated on October 17, 2018.